Today I have an amazing giveaway for all you tea lovers out there. A few months back I had reviewed a selection of teas from Begu Tea. You can read my older post here. Begu Tea, in collaboration with highly qualified nutritional and fitness experts and also with their extensive pharmaceutical knowledge spanning nearly 40 years, have created an exclusive specialist healthy tea range. 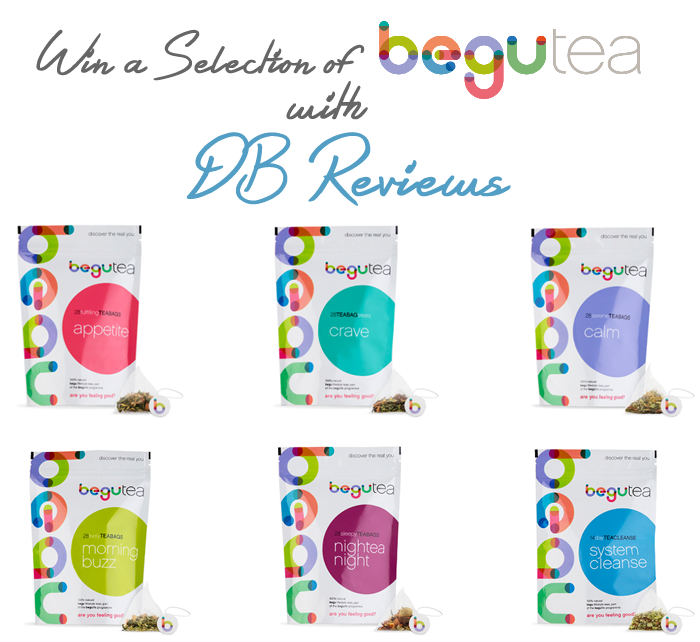 One lucky reader of my blog has the chance to win all the 6 speciality teas, thanks to the lovely team at Begu. So, what are you waiting for? Enter using the Gleam widget below. All the best. The speciality teas from Begu Tea look so modern and interesting. I have these, really love Nightea Night!